Six people, including three teachers, two invigilators and a student have been arrested for allegedly attempting to compromise the integrity of the on-going Basic Education Certificate Examination (BECE). They are being held by the police to assist in their investigation. William Amexo, the Regional Coordinator of the West African Examination Council (WAEC), told the Ghana News Agency (GNA) that the suspects were picked at different examination centres in Kumasi and the Bosomtwe District. 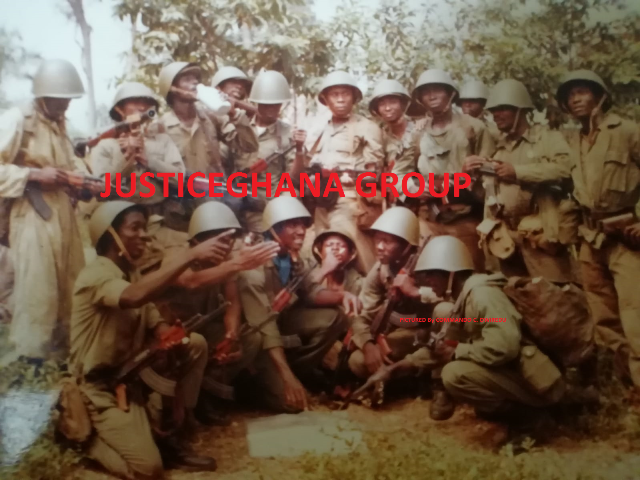 He gave the names of the teachers as Jonas Barnie, Charles Osei and Andrews Wiredu. Elijah Opoku and Daniel Asumadu are the invigilators whilst 17-year-old Dawud Mohammed, is a student of the Islamic Call Basic School. Mr Amexo said they were caught as they tried to smuggle foreign materials including cellular phones and papers containing answers to some of the examination questions to candidates. He insisted that there had not been any leakage of the papers in the region and that some of the invigilators collaborated with the teachers hanging around the centres to solve the questions and attempted to pass on the answers to their students. Mr. Amexo said they had put in place adequate security measures to prevent cheating, and offenders would be appropriately sanctioned to serve as a deterrent to others. In related development, Breman Asikuma police on Monday arrested Veronica Mensah, a teacher for giving answers to a candidate writing the Basic Education Certificate Examination (BECE) at Breman. Asikuma Senior High School Examination Centre. Deputy Superintendent of Police, Seth Tay told the Deputy Minister of Education, Elizabeth Amoah Tetteh during her visit to the examination centres in the Central region on Tuesday. DSP Tay said on Monday, Michael Ampomah Oboubi, an Officer of the West Africa Examination Council (WAEC) supervising the examination at the centre, saw Mrs. Mensah dictating some answers from her phone to one of the candidates during the writing of the English Objective Paper. He said the WAEC officer seized the mobile phone and saw text messages containing correct answers to the questions. DSP Tay, the Acting District Police Commander for Asikuma-Odoben-Brakwa, said Mrs Mensah would be put before court after police investigations, adding that Mrs. Mensah refused to disclose the identity of the person who sent her the answers. Kofi Sarfo Kantanka, Regional Director of Education, who was accompanying the Deputy Minister, appealed to the invigilators to remain calm and desist from acts that could disturb the examinations. Mr Oboubi, later in an interview with GNA, said he had seized three mobile phones from the students contrary to the rules and regulations of the examination. He said other GES officers in the District who were monitoring the examination centres had also seized about 20 mobile phones from the candidates. Isaac Amonoo, the Asikuma-Odoben-Brakwa Director of Education, told the GNA that the invigilators threatened to go on strike when Mrs. Mensah was arrested.